Audio equipment PCBA is widely used in different industries. The price varies accordingly depending on the quality of the product. If you want a durable result and quality products at your price, you should consider buying from POE. This company has a good reputation in the industry for the affordability, quality products, and timely and hassle-free delivery. They are able to offer PCB assembly from low to medium production volume. They also used the developed tools and equipment including the solder reflow oven, SMT chip pick & place, world-class Automatic stencil printing, SMT-Stencil manufacturing, and in-line testing. When it comes to the quality check of the Audio equipment PCBA, they use X-ray testing machine and AOI test machine. All these things support the credibility of the manufacturer and the durability of the products. 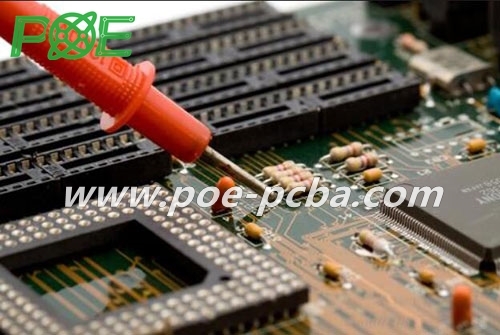 They have an experienced team to make and supervise the Audio equipment PCBA. The team has 22 SMT machine engineers and 15 SMT machine engineers to take care of the new orders and to offer 500 sets quick turn PCB assembly service with Samsung, Jukki, and Panasonic SMT machine to provide the best and quality products. They also offer one-stop service for technological challenges. The price will be affordable. The experienced team is able to meet the customer’s requirements and to assist them within the minimum possible time. When you contact them for Audio equipment PCBA. your quotes will be turned into a request in less than four hours. You will get immediate response. They have the experienced and multinational team members to offer technical customer care service. The main customers of this company are the medium-sized manufacturers. These companies sell PCBA for consumer electronics, medical treatment equipment, industrial management and automation equipment, radio telecommunication equipment, and some other industries. In addition to the above, they have more than two decades experience in this industry. They have the strong manufacturing capabilities with the four advanced SMT lines and workshops. They are able to deal with almost all types of the integrated circuits that include QFP, BGA, SO, SOJ, TSOP, SOP, and TSSOP. They are reputed in their industry for providing the best quality products. The company is ISO 9001:2015-certified. The products of the company are CE- and RoHS marked. The company has more than 2000 international and domestic customers. Some of the popular customers are Molex, Haier, Siemens Medical, National Semiconductor, and around thirty customers throughout the USA. The company is able to produce high-precision, high mix, and high-end products. You can contact them for Audio equipment PCBA. They are easily accessible and answer all your queries.